It has been some time since Senator Leila Dilemma and CHR Vice Chairman Filipo D. Hippo got arrested. This has caused a new cause to come out as Leni Loud Robredo to finally give in to a new campaign. This campaign is called "Kris Aquino For President" movement. Leni Loud then gave her statement which said , "Kris Aquino will be the only hope for democracy. 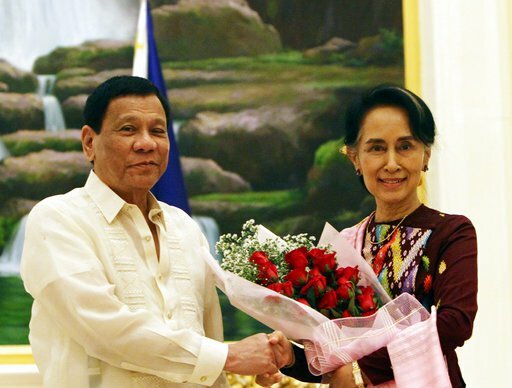 She is a woman as noble as Nobel prize winner Aung San Suu Kyi of Myanmar. She's going to restore democracy that the Aquinos have fought so hard to maintain for 30 years but died last year in EDSA. She's the only hope of the nation." Loida Nicolas Lewis now appeared in an interview and repeated her statement that President Rodrigo R. Duterte must resign now while denying any plan to oust him. She said in a recent interview on CNN, "President Rodrigo Duterte is shaming the nation. Just listen to how Leni Loud is fighting for your democracy and freedom. You can't let a mad man like Duterte sit. 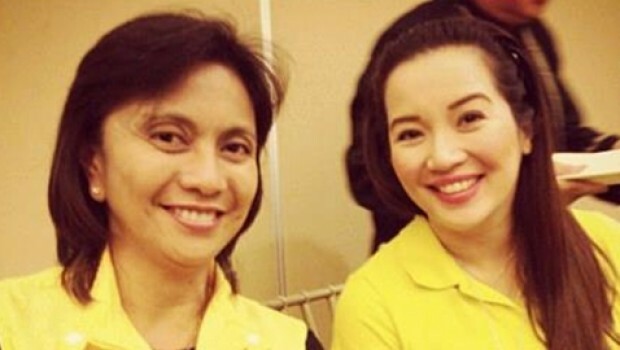 Kris Aquino must become president by 2022 to restore democracy but the job must first go to Leni Loud. Leni Loud herself will be the transitional president. By 2019, Kris Aquino will run as Senator to prepare her for the massive responsibility of running the nation. Kris is like Aung San Suu Kyi and so is Leila Dilemma." Kris Aquino soon appeared weeping tears where she said on stage in EDSA, "I am ready to fight against the mad man President Duterte. Remember that the Aquinos fought for democracy for 30 years and the nation let it die. I am willing to fight like my father the late Ninoy did against the tyranny of Ferdinand E. Marcos Sr. whom Duterte buried, therefore he condones to the acts done by the Marcoses. 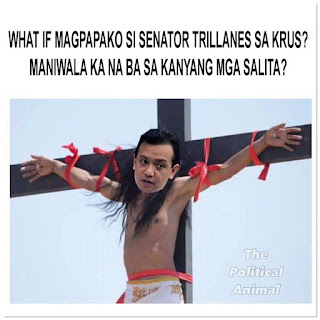 Worse, he has only promised that Noynoy may be buried at the Libingan Ng Mga Bayani but only if my brother's soon to be dead body is buried right next near to the tyrant. I will be Senator by 2019 and your president by 2022 to maintain the democracy we all fought for. Like my mother the late Cory I will carry on her legacy to even greater heights. I will have the burden now to lead you Filipinos to our promised golden age." Kris had so little supporters now but Inquirer wrote in their headlines, "Kris Aquino wins support of billions of Filipinos." It was revealed that most of the attendants were actually PCOS machines and only a few people were attending Kris Aquino's rally. She went emotional over the rally that not so many were there in her "fight for democracy". Not even the performance of Cynthia Patay and Agot Isidro could draw a crowd yet Inquirer said that billions are now supporting Kris to become president by 2022. What was soon revealed was that Aung San Suu Kyi was outraged that she should be compared to Leila Dilemma and Kris Aquino. She simply said, "It's outrageous to even give a Nobel peace prize to Kris and Leila. If anything Leila is not a political prisoner and Kris should not even allowed any office in the Philippines."